Many thanks to Southwings and pilot Roy Zimmer for the ride on Roy’s Rollercoaster. The wind did pick up a bit towards mid-day but that only made it more fun. We saw what we flew to see. More on that later. 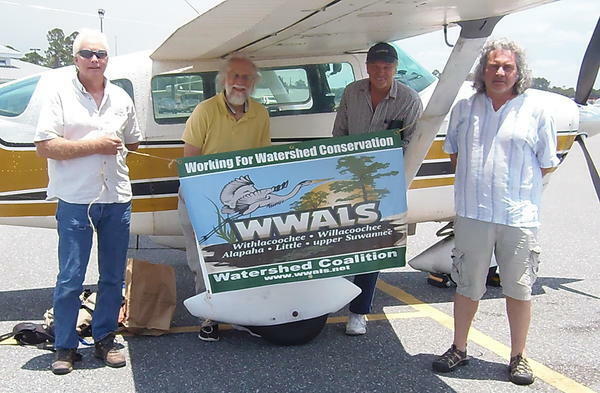 This entry was posted in Agriculture, Pipeline, Quality, Quantity, River and tagged agriculture, Can Denizman, Chris Mericle, conservation, John S. Quarterman, north Florida, pipeline, quality, Quantity, river, Roy Zimmer, south Georgia, Southwings, watershed, WWALS, WWALS Watershed Coalition on June 22, 2016 by jsq.